The 70th Emmy Awards will be held on September 17th and they’re already generating a lot of buzz. The surprise this year have been streaming platforms. 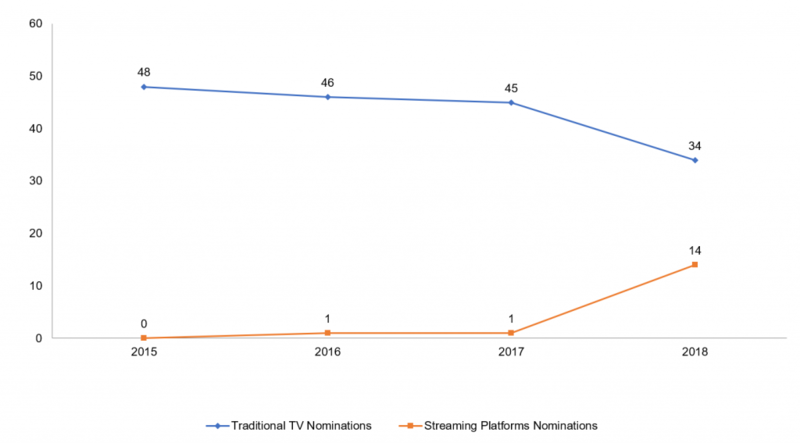 It all began a few years ago when Netflix was first nominated and although it still hasn’t received more nominations than traditional television, this year they managed to garner 112 nominations, more than HBO’s 108. 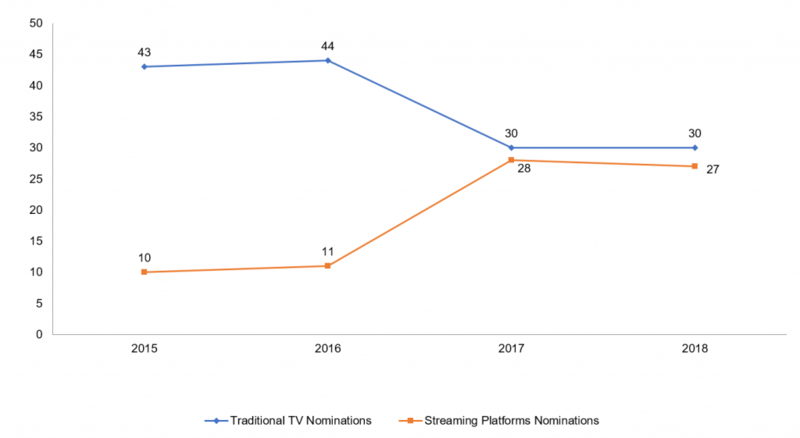 Below are the nominated shows for the main awards categories, as well as a comparison of traditional television and video streaming platform content in the last years. You can see how audiovisual content in the main and subcategories has changed. 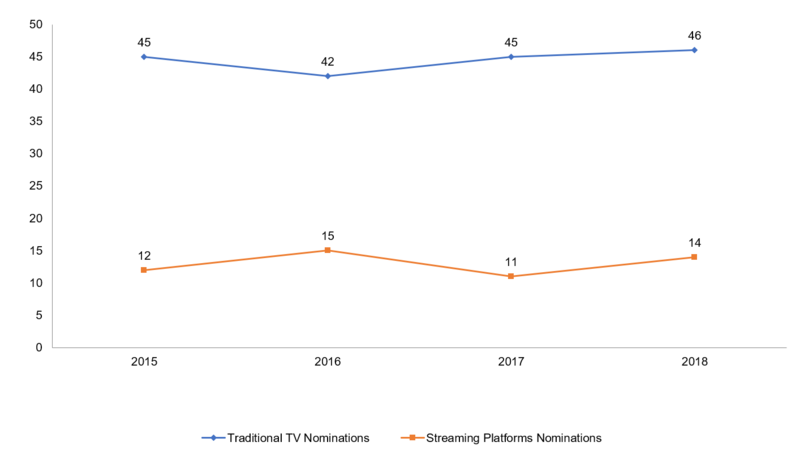 In 2018, streaming platforms received more nominations in the “Miniseries and TV movie” category than previous years, while in the Best Drama and Comedy categories, traditional formats still reign, but we’ll have to wait until the ceremony to see who the winners are, because these awards go to the best quality shows. Do you have a favorite?